$100 Target or Amazon gift card giveaway rules: You must be 18 years or older to enter and have a valid United States mailing address and be a confirmed email subscriber. The giveaway begins on 12/20/17 & will end on 12/20/18, at 7:59 pm Central Time. We will contact the winner via email and the winner will have 48 hours to claim their prize, which is a choice of $100 Target e-gift card or $100 Amazon e-gift card. This giveaway is sponsored solely by Coupons and Freebies Mom, and is not sponsored by Amazon, Target nor Facebook. Coupons and Freebies Mom, LLC., is not responsible for prizes not received, damaged prizes, lost prizes, non-working prizes, or incorrect mailing addresses. This giveaway is in no way sponsored, endorsed, administered by, or associated with, Facebook. When entering, participants release and indemnify Facebook from all liability. Information collected is not collected by Facebook. By entering you are consenting Coupons and Freebies Mom, LLC use your information collected to select a winner. $100 Walmart gift card giveaway rules: You must be 18 years or older to enter and have a valid United States mailing address and be a confirmed email subscriber. The giveaway begins on 12/20/17 & will end on 12/20/18, at 7:59 pm Central Time. We will contact the winner via email and the winner will have 48 hours to claim their prize, which is a $100 Walmart e-gift card. This giveaway is sponsored solely by Coupons and Freebies Mom, LLC, and is not sponsored by Walmart nor Facebook. Coupons and Freebies Mom, LLC., is not responsible for prizes not received, damaged prizes, lost prizes, non-working prizes, or incorrect mailing addresses. This giveaway is in no way sponsored, endorsed, administered by, or associated with, Facebook. When entering, participants release and indemnify Facebook from all liability. Information collected is not collected by Facebook. By entering you are consenting Coupons and Freebies Mom, LLC use your information collected to select a winner. Surprise Daily Gift Card Giveaway Rules: You must be 18 years or older to enter and have a valid United States mailing address and be a confirmed email subscriber. Winners are announced on this page – click here to see winners & have 24 hours to claim their prize. This giveaway is sponsored solely by Coupons and Freebies Mom, and is not sponsored by Amazon nor Facebook. 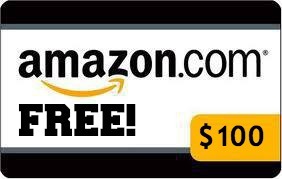 The giveaway is in no way sponsored, endorsed or administered by, or associated with, Amazon. Coupons and Freebies Mom, LLC., is not responsible for prizes not received, damaged prizes, lost prizes, non-working prizes, or incorrect mailing addresses. This giveaway is in no way sponsored, endorsed, administered by, or associated with, Facebook. When entering, participants release and indemnify Facebook from all liability. Information collected is not collected by Facebook. By entering you are consenting Coupons and Freebies Mom, LLC use your information collected to select a winner.